“We are not a tour guide, we create unique experiences” – Luxury Travel, the leading high-end Destination Management Company in Southeast Asia believes that destination management is important to create memories for travelers. This phrase must resonate deeply in the hospitality industry. The clients of this industry are always looking for moments and memories that they can live for many years ahead. In a nutshell, a good destination management company must have extensive knowledge on local cultures and destinations while developing superb networking and business relationships with local suppliers to deliver the best of services within time and budget to the clients in a seamless fashion. The fine distinguishing lines running among the Southeast Asian destinations is very imperative. Apparently the differences can easily be overlooked but actually Southeast Asian countries are a rich trove of the beguiling landscape, diverse cultures, amalgamation of indigenous and colonial heritage and unique art of local livelihood and its people. No two destinations are similar in any terms in Southeast Asia. Song Saa Private Island experience in Cambodia is absolutely unique than the private beach experience at Six Senses Hideaway Ninh Van Bay Nha Trang. Southeast Asia is one of the most compelling regions to explore and experience in the world. This is where a good Destination Management Company in Southeast Asia or a Destination Marketing Enterprise (DME) comes into play where local consultants let you identify the local uniqueness. It is a years-long process for a DMC to get prone to the in-depth knowledge of the destinations- behind-the-scene spots along with the popular highlights, local norms, and cultural ethics along with an emotional outlook of the locals. A lot of on-site hard work, integrity, and sincerity in working with the locals result in developing enhanced professional alliances to deliver authentic experiences and memories to the clients. Responsible and sustainable traveling practices are highly important to develop a touching heart relationship with the locals as well as the clients. 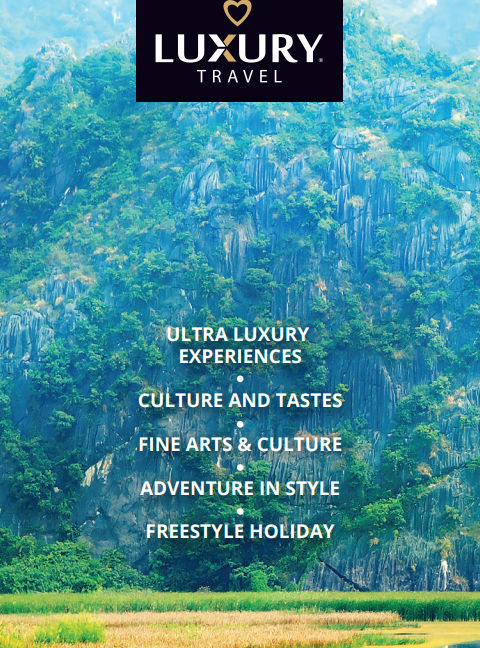 Luxury Travel Vietnam values the importance of destinations as it is the base where they are operating to make their living. Based in Vietnam, the company travels across the Indochina borders to discover new authentic experiences for trending travelers, develop local coordination and extend a courteous hand to the local developments. Last minute bookings are very trending these days. Many clients want the best of everything or some out of the box individualized travel plans within a very short notice. This is when a DMC like Luxury Travel plays a vital role in organizing everything impeccably with the help of its well-established business relationships with local suppliers. Just a simple call can set up a grand corporate dinner within a short notice at Koulen Restaurant with the famous traditional Apsara Dance or a royal lunch directly from the royal kitchen at Ancient Hue in the Imperial Citadel of Hue. Mr. Pham Ha, the Founder CEO of Lux Group said, “We believe in creating differences, no matter whether it is our clients or business partners. We are always in touch with the General Manager or Director of the hotels, cruises, transport agencies, and other suppliers, even when it is not a sales call. In time of need of using their inventories, the process becomes too fast and smooth.” The entire process ultimately benefits the end-user while helping the entire community to do business with great pride and reputation. With over 15 years of experiences across Vietnam, Cambodia, Laos, Thailand, and Myanmar, Luxury Travel Vietnam has developed active relationships with local and regional associations to provide unique and localized experiences for the clients. Exploring the destinations to identify the distinctive trending experiences from local cultures is the key strength of this high-end destination expert. Luxury Travel can be chosen as a favorite Destination Management Company in Southeast Asia because of its expertise in taking care of every aspect of an event from event planning to logistics, accommodations, experiences, local encounters and event activities. Besides its extensive supply chain and network, Luxury Travel has its own fleet of luxury transport facilities from limousine service to cruises and chartered flights. Taking the MICE to a different standard, Emperor Cruises offers an all-inclusive cruising experience in the Gulf of Tonkin with an all-set ambiance for corporate events. Program Management: Luxury Travel understands the needs of the clients and assists in every stage of venue selection, bookings, interior décor and event activities with unlimited itinerary flexibility in adding a touch of personalization. Considering the local norms and cultural values, the company helps in designing the best of services as per the needs of the clients within their estimated budget, discarding the unnecessary extras or seasonal perks. Supply Chain Management: From its wide range of supplier network, the company selects the best options and deals with all negotiations to provide complete access to facilities within the available budget of the clients. No matter whether a client wants to host the event at Sofitel Legend Metropole Hanoi or Boutique Hoi An Resort, everything is on Luxury Travel’s platter to choose from. Owing to its local expertise, Luxury Travel offers the best of services in accommodations, catering and other aspects within budget. Logistics Management: Luxury Travel strives to maintain its ‘Touching Hearts’ services in every sphere right from welcoming the guests to bidding them goodbye. Besides its complete transportation management as per event timeline through best travel routes, the company adds special attention to guest arrival and departure experiences through its own chauffeur services. Accounts Management: Blessed by its technological implementations, Luxury Travel maintains a transparent accounting system with detailed invoices including final negotiations to deliver to the clients.